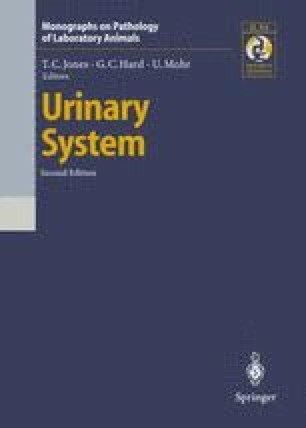 The gross features of primary adenocarcinoma of the urinary bladder of the rat have not been adequately described. Only five cases have been reported; one induced with bracken fern (Pamukcu et al. 1976a) and four with N-butyl-N(4-hydroxybutyl)nitrosamine (BBN) (Kunze and Schauer 1977).